Two Stellenbosch Students Win Pendoring Awards! Katherine Joubert and Susan Duvenage both won Pendoring silvers for their incredible work – we are so proud! It is so special to see hard work pay off. You can have a look at their winning work below. This entry was posted in Academy Work and tagged Pendoring Awards, Stellenbosch Academy on October 30, 2017 by stellenboschacademy. Stefan Draschan is a German photographer with a great eye and most of all – some incredible patience! This set of photos, People Matching Artworks, is an entirely unstaged project where Draschan waits for people to appear in front of art wearing matching clothing. No funny business. No posing! Check out more below and do yourself a favour and visit Draschan’s site here. This entry was posted in Photography and tagged Art, Painting, photography, Stefan Draschan on October 30, 2017 by stellenboschacademy. We are so excited to present our 2017 student showcase, GRADex 2017! The show opens on 15 November at 18:00 and ends the following day. If you’re interested, please RSVP here. We’d love to see you there! This entry was posted in Uncategorized on October 27, 2017 by stellenboschacademy. Two of our students, Alena Sidorova and Shannon Heaver, entered the Lens Culture Awards this year and we think their work is really top notch! The way the competition works is through social shares so if you want to give our students some love, don’t be scared! Alena Sidorova shot the bright, colourful images with the patterned clothing, which you can vote for here. Shannon Heaver shot the black and gold tone images, which you can vote for here. 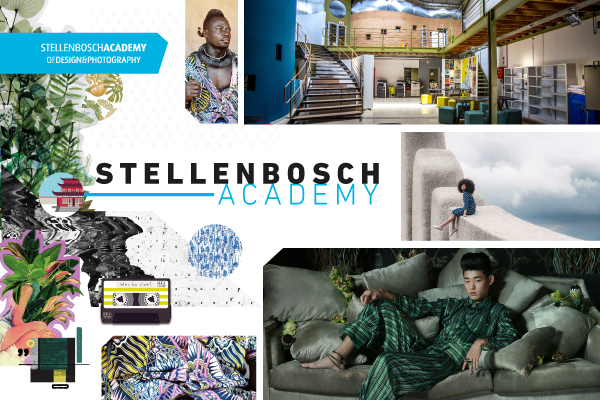 This entry was posted in Academy Work and tagged Lensculture Awards, photography, Stellenbosch Academy on October 27, 2017 by stellenboschacademy. We are so excited to share this! Our 3rd year multimedia students’ end of year project was a collaborative film where everyone played a part – from creating a production company through to design, filming, producing, directing, writing and much more. We present… Midnight at the Flambabosa! This entry was posted in Academy Work, Multimedia and tagged Film, Multimedia, Stellenbosch Academy, Student Work on October 27, 2017 by stellenboschacademy. Shin Morae is an illustrator from Seoul with a soft, simplified style informed by 90s anime that we can’t get enough of. We love her subject matter too, which is at once mundane and very meaningful at the same time, as if they are single panes from a larger narrative comic or story. To see more of her work, check out her website here. This entry was posted in Illustration and tagged Illustration, Shin Morae on October 27, 2017 by stellenboschacademy. This one is special! We love the work that Stranger and Stranger do. They’ve got highly detailed, beautiful alcohol packaging down to a fine art and they show it again here with Shackleton Whisky. From illustration through to typography, use of colour and just the finest eye for detail – you will not find more appealing alcohol packaging perhaps anywhere. This entry was posted in Design, Illustration and tagged Design, Illustration, Packaging, Shackleton Whisky, Stranger and Stranger on October 25, 2017 by stellenboschacademy.